Established in 1842 by New Garden Monthly after having been an indulged meeting since 1834. 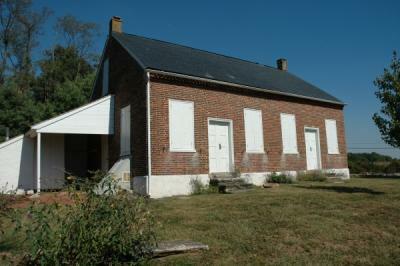 The first meetings were held in the home of Richard Chambers of White Clay Hundred in 1824. Later that year, the meeting purchased an acre and a half of land for a meeting house and graveyard.. The meeting was laid down sometime after 1928 and its membership was transferred to West Grove Preparative. The property is now held by New Garden Monthly meeting.